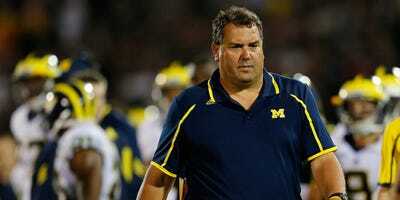 University of Michigan’s athletic director Dave Brandon will resign his position according to Brett McMurphy of ESPN. This move will likely have a big impact on the future of the school’s football team. With the perceived performance of big school ADs so closely aligned to the success of the football program, the next AD will almost certainly want to choose his own coach. Jim Rogash/Getty ImagesThis could be Brady Hoke’s final season at Michigan. 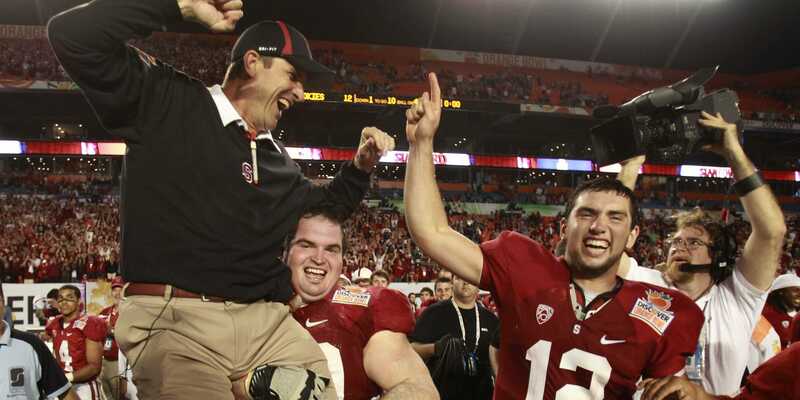 Hans Deryk/ReutersWould Jim Harbaugh be able to replicate his Stanford success at Michigan without Andrew Luck? Harbaugh also has a relationship with 49ers general manager Trent Baalke that has been described as “competitive tension” as the two have clashed over personnel decisions. 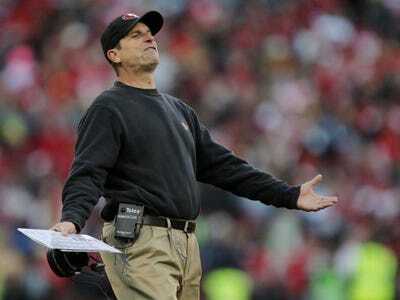 Harbaugh has one year remaining on his contract, however, many believe this will be his last season with the 49ers. In other words, Michigan may be creating a perfect storm that will ultimately lead to Harbaugh going back to Ann Arbor. Or at least that’s what many will assume until it happens or until Michigan hires somebody else.